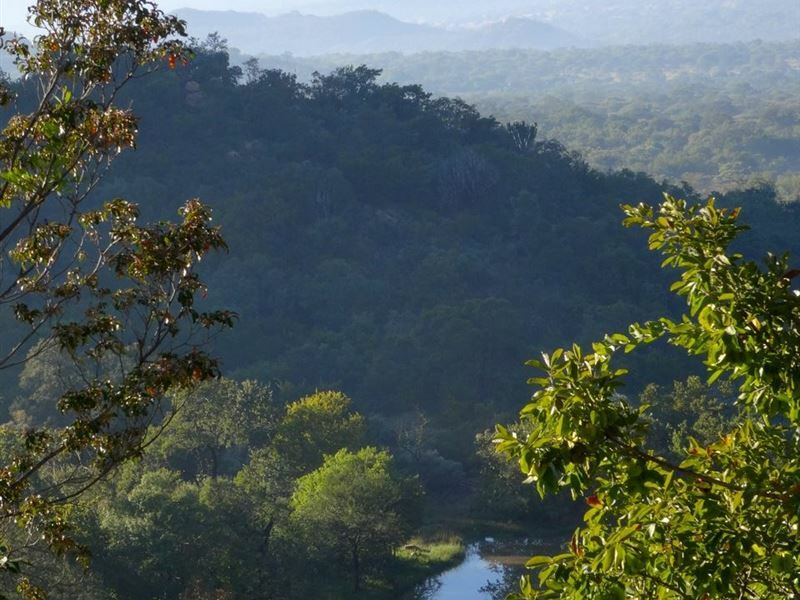 Sheltered by enclosing hills, in a natural basin, lies the wonderful bushveld of Thabaphaswa Mountain Retreat. 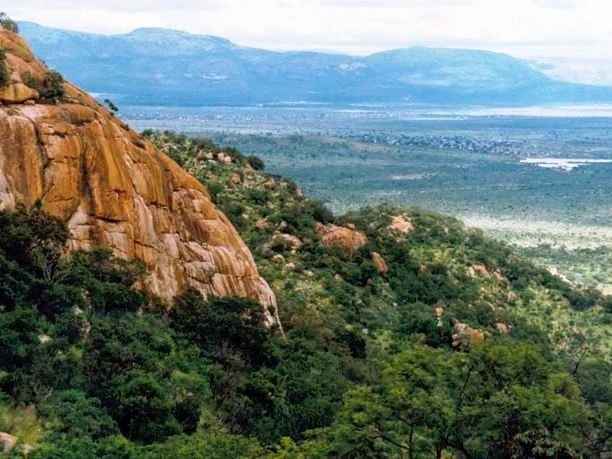 Home within a landscape that is reminiscent of the Matopo Hills, one can spends their days exploring the network of hiking, mountain biking and 4x4 trails. 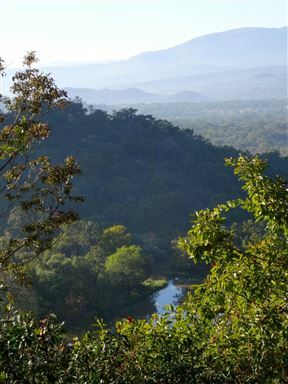 Offering the ideal opportunity for nature lovers to discover the variety of game-, bird- and plant life of the area. 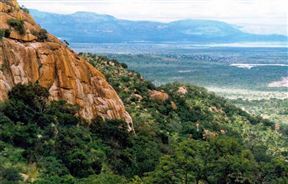 Rockclimbing and abseiling also become favoute activities.We offer a variety of unique bush camps, shaded campsites, a self-contained Cot-house and a self-contained cottage for honeymoon or romantic couples. All equipped with ablution facilities, braai areas, pots, pans, solar lamps and other odds and ends.Fun is the name of our game; cool off in one of our clear water farm dams, jump from a boulder into refreshing, clear mountain spring water or be your old adventurous self and plough into the water from our true South African &apos;foefie&apos; slide. We have been experiencing an increasingly strong demand for our campsites. 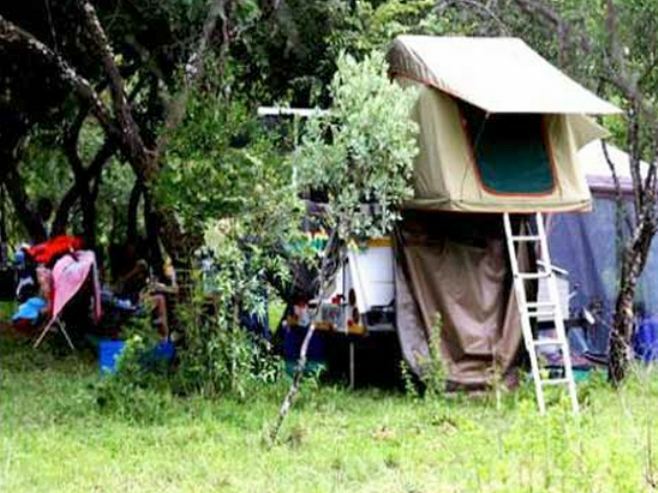 People clearly want to enjoy the sounds of nature and to experience an "in -the bush-atmosphere" We now already have 21 shaded campsites in the wild. 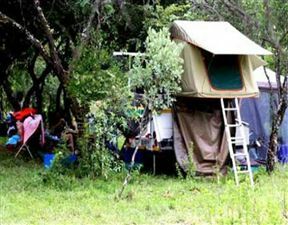 Each can accommodate two or more vehicles with trailers/tents. Due to our location in the fork of the N1 and N11 we are often being visited by travellers to/from the Kruger National Park and countries to the North. 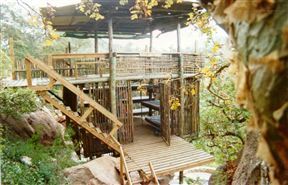 Fig Tree Camp accommodation caters for groups of up to 16 people on eight bunk beds with thick mattresses. It consists of a lockable reed shelter with a corrugated iron roof adjacent to a communal braai area. Basic kitchen equipment is provided but there is no fridge; please bring your own cooking and eating utensils. Ablution facilities consist of two reed enclosed showers and two toilets and are situated approximately 50 m away at the Thabaphaswa Campsite. The unique Dome Rock Camp is situated next to a non-perennial dam and has glass-walled units that blend into the surrounding environment. 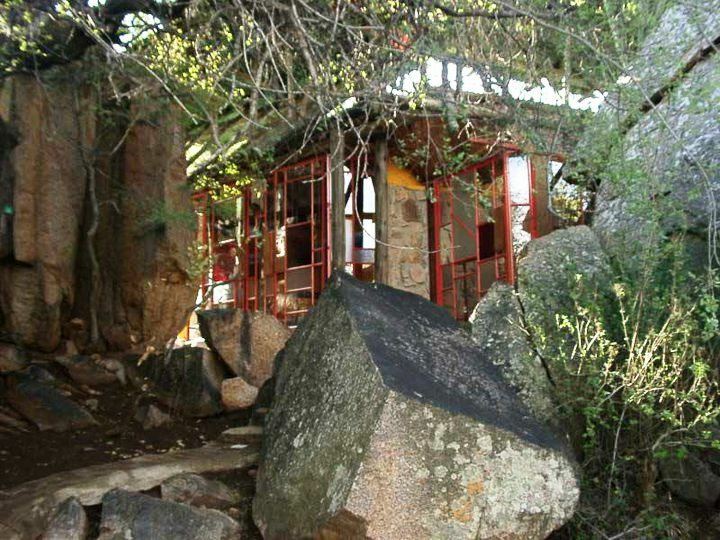 Each of the four units is situated among huge boulders and are named after trees they are next to, which affords the occupants both privacy and the experience of being close to nature while still enjoying the home comforts of a bed and thick mattress. The four units are Huilboerboon, Red Ivory, Maroela and Kiepersol. All with separate braais and washing up areas, braai grids, pots, pans, kettles, two-plate gas stoves, gas lamps and paraffin lamps. Please bring your own cooking and eating utensils. A communal fridge is a useful addition; however space is limited when the camp is full. In keeping with the rest of the camp, the ablutions are unique with three toilets and three showers. The separate showers are heated by an old fashioned wood-fired "donkey" and are surrounded by reeds but open to the sky. 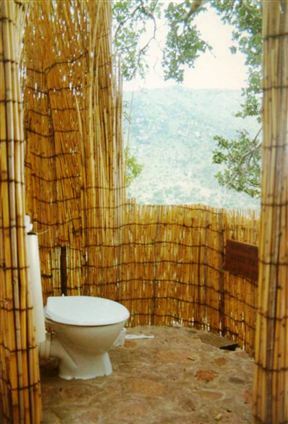 The flush toilets are affectionately referred to as "loos with views". 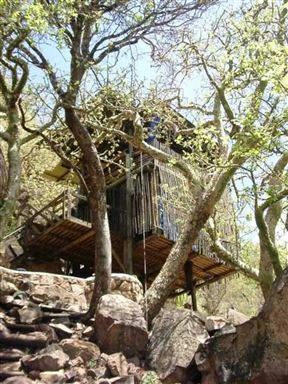 The Kanniedood Camp caters for the more agile and adventurous nature lover. 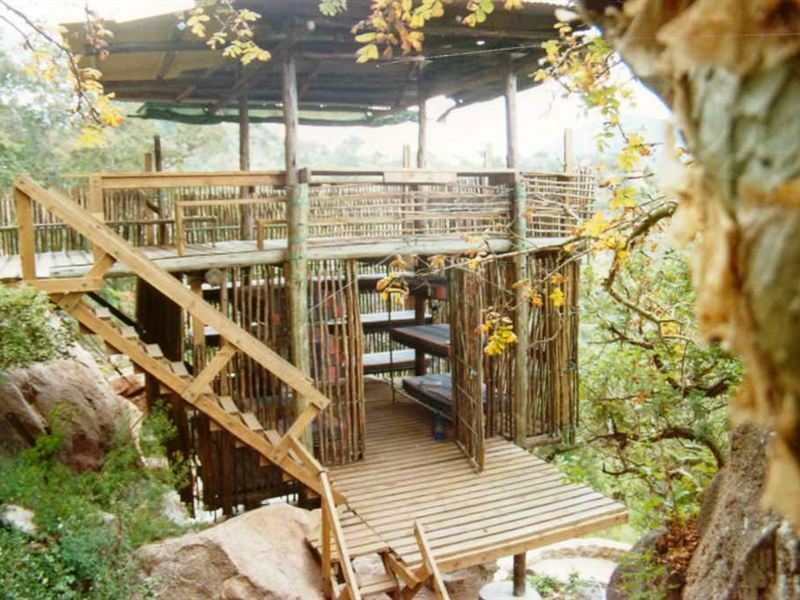 The camp is a triple-storey, reed-enclosed stilt shelter built among kanniedood trees high up on a steep rock face. The cantilevering upper deck offers incredible views over the hills and valley below. The first deck contains bunk beds and mattresses with sleeping place for 16 people. The space between the stilts forms an open-air kitchen alongside a communal braai area. 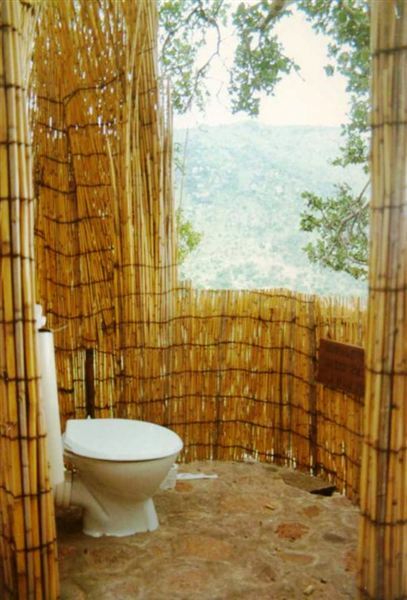 Ablution facilities, comprising one shower and one toilet, are open air and surrounded by reeds. Access to the camp can only be achieved by 4x4 followed by a short, steep climb carrying food and luggage. There is no fridge therefore it is advisable to bring your own good quality cooler box. Features provided are a braai grid, pots, pans, a kettle, a two-plate gas stove and paraffin lamps. Bring your own cooking and eating utensils. A fully self-contained cottage that sleeps 6 guests. Four guests can sleep in the main Cot-House and two in an outside room with rustic river reed walls. The Cot-House is served by an outside toilet and a shower which also serves visitors camping next to the Cot-House. The Cot-House provides for visitors in wheel chairs to be comfortable. The bathroom and outside shower has been designed for this purpose. There are paths around the Cot-House and the lapa/braai area that provide for wheel chairs. Assistants who accompany visitors in wheelchairs stay at 50% of the standard rates. Please see the photos of the facilities for people in wheel chairs. The Pump House is a charming thatched, fully self-contained cottage/honeymoon suite situated next to the cattle kraal. An antique brass double bed, freestanding Victorian bathtub, candles and paraffin lamps provide the perfect setting in which to enjoy nature.